Are you attending VMworld 2017 in Las Vegas, NV? If so, I invite you to add Liquidware to your MUST SEE list of vendors. Liquidware is a pioneer in the development of desktop virtualization solutions that complement leading platforms including Citrix XenApp/XenDesktop, VMware Horizon View, and physical Microsoft Windows PCs. The company's Stratusphere solution deliver visibility into desktop environments and support assessment, design, monitoring and diagnostics (Health Checks) of both the desktop user experience and supporting infrastructure. ProfileUnity delivers a universal user profile that can span versions of Windows OS. In addition, the solution provides advanced features to for granular control of user access to desktop resources, including application and user rights management and context-aware policies. LIquidware FlexApp feature delivers advanced Application Layering to allow admins to centrally manage applications, yet deliver them to users on demand. These solutions are available in an extremely cost-effective bundle called Liquidware Essentials. Read this exclusive pre-show interview between VMblog and Liquidware to learn what they have planned for the upcoming VMworld 2017 event. 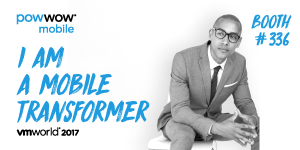 VMblog: As a VMworld 2017 sponsor, how can people find you this year? Give us some of the details. David Bieneman: We're at booth 1126 this year, not too far from the VMware booth. We've maintained our usual booth size of 10x10. I and our co-founder, Tyler Rohrer, will be attending as well as other key Liquidware personnel, including our CTO Jason Mattox, our Chief Software Architect, David Feathergill and our product directors for Stratusphere and ProfileUnity with FlexApp. Liquidware has not missed a VMworld since our first attendance there as Liquidware Labs back in 2009. This year will be our first year attending under our new brand, Liquidware. Bieneman: We've recently announced many industry-first new features in ProfileUnity with FlexApp 6.7 such as "Click-to-Layer," which allows instant delivery of FlexApp layered applications on-demand upon the application open action by a user. The user simply clicks on the application's native icon on the desktop or in the Start Menu and the application is instantly delivered via FlexApp and is ready for use. This dramatically improves desktop readiness times, a concept we're dedicated to continually improving. Another key differentiation to other solutions in the market is our integration of our UEM solution - ProfileUnity - with our App Layering solution - FlexApp. No other offering on the market today integrates these two key solutions in a single management console. Combine the power of ProfileUnity and FlexApp with our monitoring and user experience solution, Stratusphere, and you have a powerful tool set in your armory to manage your desktop - whether virtual, physical or cloud - lifecycle along with ensuring user satisfaction and productivity. We'll be demoing all products at booth 1126, so your readers should come along and see for themselves how Liquidware is transforming desktops to next generation workspaces. Bieneman: Any EUC-focused attendee needs to come and talk to us at Liquidware, especially if they are just starting out or are stalled in their current implementation. We have experience of deploying more than 2 million desktops since 2009. We transform Windows desktops by simplifying user and application management. User profiles and applications can be decoupled from the Windows image. The ability to separate these components out provides several key advantages. We effectively eliminate image sprawl and siloed RDSH application server farms. We assess, monitor and optimize the user and application experience within the guest. 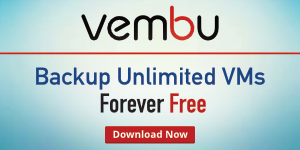 And we do this for not just VMware but also for all other Windows desktop delivery platforms. Many companies today are looking at a "cloud first" strategy and/or DaaS as an alternative for their desktop delivery. However, a key hurdle in moving to the cloud is identifying the right candidates. Liquidware Stratusphere provides the metrics to determine "best fit" candidates by first analyzing a company's overall EUC estate and providing a comprehensive view as a baseline for performance and SLAs. This process then ensures that a user's experience on a new desktop is as good as, if not better than, previous desktops. Stratusphere also continues to enable progress in VMware Horizon production environments, with Health Checks to identify root causes of issues and put customers on the road to optimizing all desktops in their environments. Liquidware's ProfileUnity and FlexApp solutions can then be deployed to work as seamlessly in the cloud as well as on-premises desktops, which is extremely valuable for those VMware EUC users who must support hybrid physical and virtual environments. We continue to innovate to help customers to solve the myriad of desktop lifecycle challenges; from significantly decreasing user logon times to seamlessly migrating from one Windows OS to the latest. 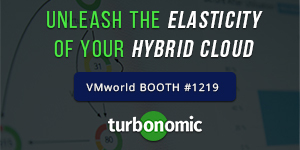 We look forward to speaking to your readers at VMworld to understand how we might assist them. Bieneman: Our solutions are VMware certified and in 2013 we won VMware's partner of the year award in the Global Technology Innovator category at their Partner Exchange. Our Stratusphere solution continues to enable progress in VMware Horizon production environments, in the onboarding process, diagnosis of issues and putting customers on the road to optimization of all desktops in their environments. And, while VMware has made acquisitions in both the UEM and App Layering space, Liquidware is still providing significant added value to customers, particularly those with heterogeneous or hybrid environments. As the only remaining independent third-party provider of UEM, App Layering and in the guest user experience monitoring, customers look to us to provide enterprise-class solutions to enhance their VMware EUC deployments. Bieneman: We recently launched general availability of ProfileUnity and FlexApp v6.7 and we'll be demoing the latest version. This version now has MANY features that you won't find in the competition, including ProfileDisk with granular profile management, Click-to-Layer application layering on demand, and application layering that is Citrix XenApp and Microsoft RDSH session aware. Stratusphere has also been updated, and we'll be giving a sneak peek of features that we'll deliver soon, including more user interface and report enhancements and increased scalability. We'll also be discussing collaboration with both IGEL and NVIDIA to monitor their hardware at a more detailed level than ever! VMblog: VMworld is considered old hat for you guys as you've been doing it for years now. What keeps you coming back? Bieneman: We've been a sponsor ever since our first event in 2009, so this will be our 9th VMworld. As a large percentage of Liquidware deployments are on the VMware platform, it's key that we exhibit at the show. Also, as you know in our industry, if you're not at a relevant tradeshow, people ask why. But more importantly, we advance EUC unlike any other company out there, given our longevity in this space. Every year we get to speak to new companies that have desktop deployment challenges that our solutions address and our booth is always packed with EUC folks looking for advice and solutions to address their workspace issues. VMblog: Do you remember your first VMworld event? What memories stand out? Bieneman: We officially launched our company in 2009 and that year took a small booth in the Innovator Pavilion at VMworld. I remember it well as we were inundated with visitors and the other booths around us were not busy at all, they were totally intrigued by us and what we did. I also remember having copious meetings with analysts, press, bloggers and VMware themselves, plus demoing Stratusphere to one of the Best of VMworld judges, Tom Howarth. We were delighted to be placed as a finalist that year in the Desktop Virtualization category, a great coup for us on our first public outing! It was also great to see my former company, Vizioncore, win the Business Continuity and Data Protection category that year too. And, of course, many of those people are now with me again here at Liquidware. Bieneman: My sales team would say "leads"!! Of course, that's one key element but my view is that we should come away with newly forged relationships; whether that is with prospects, other industry allies, media, analyst or influencers. VMworld is very much a community event - we've been a big supporter of VMUGs (VMware User Groups) over the years - and anyone who attends and doesn't make a whole bunch of new friends, has missed a great opportunity. And, of course, it's about awareness and brand too. This will be our first VMworld after our rebrand earlier this year and so we want to ensure that everyone that knows us, now knows we're Liquidware. VMblog: As a show expert, do you have any tips for first time attendees of VMworld that you'd like to share? Bieneman: There is a multitude of blog posts out there providing very sound advice about not partying too hard (everyone does! ), wearing comfortable shoes (everyone does! ), keeping hydrated (most people do! ), etc. My own personal piece of advice is go to the key sessions that are important in your job role and/or career but don't overdo it - you get access to the recordings post-VMworld anyways. Make sure you do visit the Solutions Exchange and take time to chat to the relevant vendors for your work. It's a hive of activity in there and with over 220 sponsors, there's bound to be something new you'll learn. VMblog: Are you guys throwing or involved with any type of party during the week of the event? Can you share the details? Bieneman: Not a party as such, but we are co-hosting - along with IGEL and NVIDIA - an invite only event entitled "Inside Track" the Sunday before VMworld kicks off. The exclusive event is for key influencers and thought leaders in End User computing. These leaders in the industry have always been key in sharing with the community all of the newsworthy product updates we're making so we're pleased to give back by entertaining them. VMworld is still traditionally a server-centric show and we felt there needed to be an event where we could discuss EUC. We're confident it will be a lively forum to discuss the week's events and we look forward to hosting it at other virtualization events across the globe moving forward. The event is invite only but if any of your readers are influencers or bloggers within the EUC community haven't yet received an invite, have them reach out to Jason E. Smith at Liquidware, as he's the mastermind behind this event. For those attending the show, if you are already neck deep or just sticking your toe in the water in regards to EUC, make sure to add Liquidware to your schedule and visit them at Booth 1126. They won't disappoint.